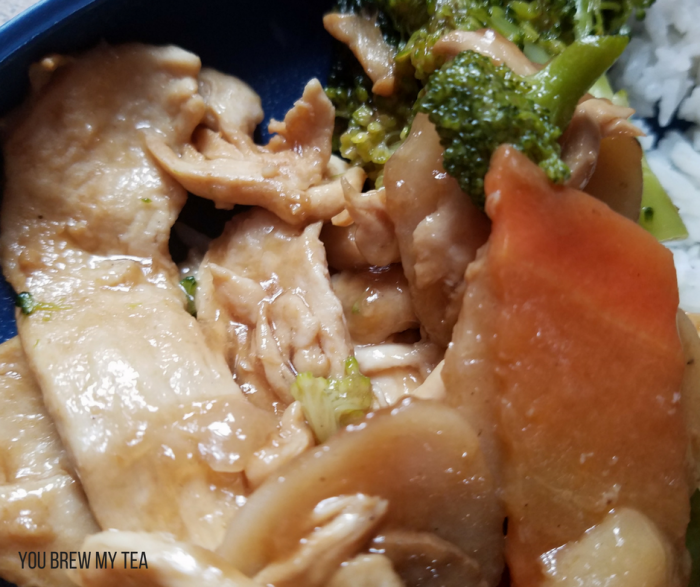 One of our favorite meals in the past has been this Chicken with Easy Stir Fry Sauce. As a kid, my mom made something very similar, and it was one of my childhood favorites. I’ve tweaked the recipe some to fit our needs, and now it is a great low point option for Weight Watchers that is ready in under half an hour! This post contains affiliate links. I earn a small commission through purchases made from these links. The key to this recipe is to slice the chicken thinly and using a large wok to cook the mixture. It can be cooked in a skillet, or even in the oven if you wanted to bake it instead, but the best flavor and texture comes from using a wok. I also use the trick of adding a bit of water to eliminate some of the need for oil. 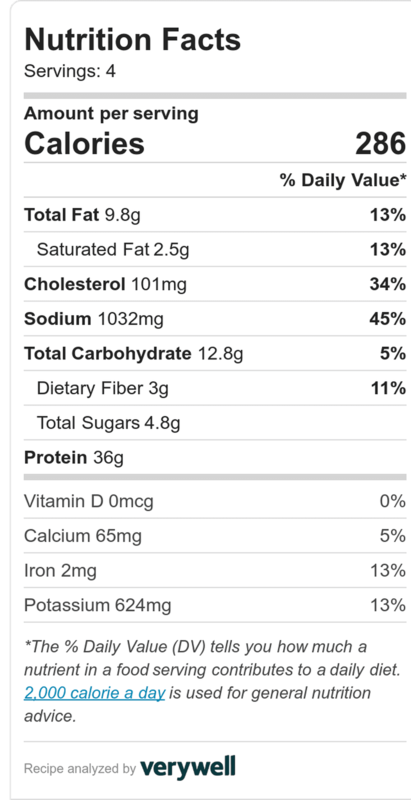 We do add sesame oil for flavor, but it can be skipped if you prefer. Tip: To get easy even slices on your carrots, use a mandolin slicer. I love using this to make sure that my pieces are even so it cooks better. In a medium bowl, mix together the soy sauce, brown sugar, sesame oil, ginger, garlic, black pepper, and chili flakes. Set aside. Place chicken breasts between parchment paper or plastic wrap. Pound until thin, and slice into bite-sized pieces. Place chicken breasts into a large Ziploc baggie or shallow bowl, and pour half of easy stir-fry sauce mixture over chicken and toss to coat lightly and marinate while prepping vegetables. Chop broccoli, carrots, and onion into bite-sized pieces (approximately 1″ chunks). Heat a large skillet or wok over medium-high heat. Add 1/2 cup water and vegetables. Cook vegetables, stirring regularly, for 4 minutes, then scoop to the side of the wok to make room for the chicken. Add in chicken breasts and cook, stirring regularly, for 6 minutes. Add remaining stir-fry sauce to chicken and vegetable mixture and cook additional 2-3 minutes or until chicken is cooked through. Serve over steamed rice or with riced cauliflower. Chop broccoli, carrots, and onion into bite-sized pieces (approximately 1" chunks). Heat a large skillet or wok over medium-high heat. Add ½ cup water and vegetables. This is a great option for a fast meal that can be ready in under 30 minutes! It mimics your favorite takeout, and is ready in less time! 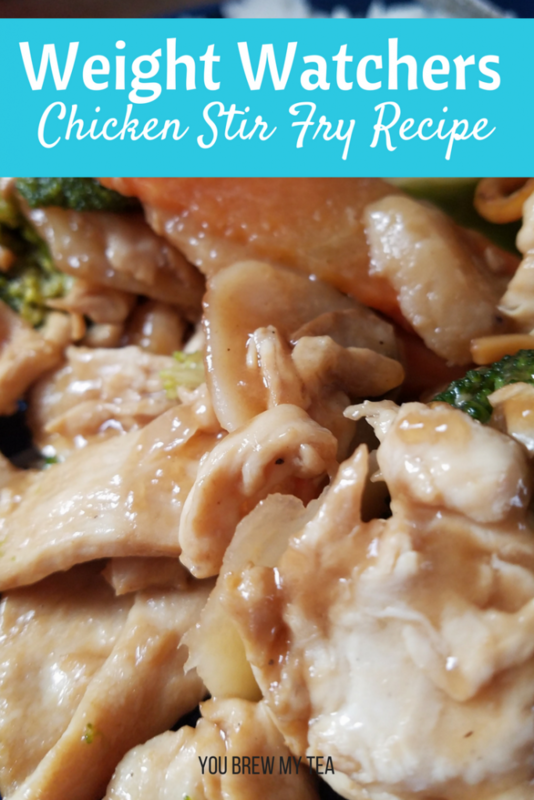 You can even easily prep this easy stir-fry sauce and chicken in advance and put into a large Ziploc freezer bag. Label and date the bag, then freezer and just thaw overnight. You can easily toss it into the wok to cook and have a fast and delicious meal!